Falmouth, St Ives, Looe, Polperro, Cornish Gold Smith, Portreath, Eden Project & St Agnes. 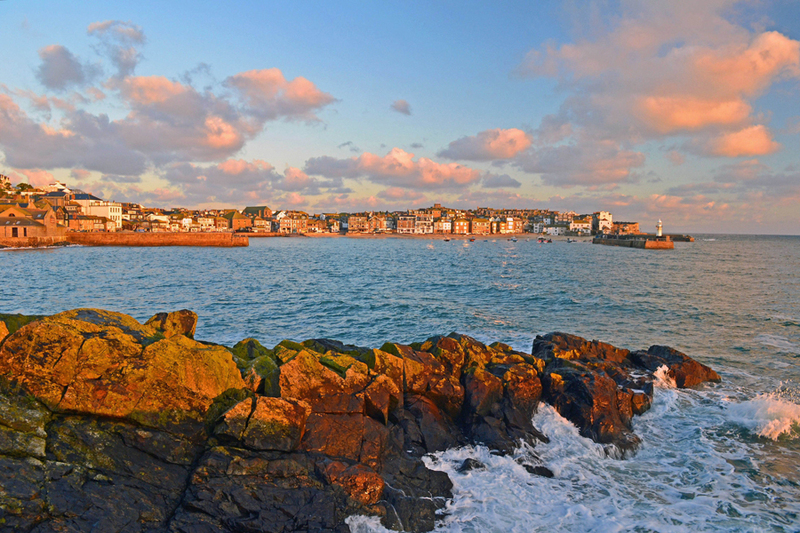 Cornwall has magnificent golden sandy beaches, breathtaking views from majestic cliff tops, quaint historic stone built harbours and villages and tranquil wooded river estuaries. To discover this area with a difference we offer a tour based in the unspoilt village of St Agnes situated 12 miles down the coast from Newquay and 18 miles from Falmouth. This AA 3 star family owned and run hotel is an elegant Queen Anne residence tastefully extended and converted. A warm welcome is assured at this friendly hotel, situated in secluded and sheltered gardens and woodland only 100yds from the main street of unspoilt St Agnes and less than a mile from the beach at Trevaunance Cove. All bedrooms are en-suite with TV and tea and coffee making facilities. Bar, lounge, snug and pleasant restaurant. Outdoor heated swimming pool. No lift – only 2 floors – ground floor rooms available. Tuesday: A morning departure you head south to St Agnes. Dinner in hotel. Wednesday: After breakfast a full day to visit Looe then onto the delightful fishing village of Polperro. Dinner in hotel. Thursday: After breakfast a full day following the Coast Road to St Ives through Portreath to the Cornish Goldsmith then on to St Ives. Dinner in hotel. Friday: After breakfast a day at leisure in St Agnes. Dinner in hotel. Saturday: After breakfast we make our way to Eden Project for a visit returning to our hotel. Dinner in hotel. Sunday: After breakfast a full day to the ancient seaport of Falmouth with an included River Cruise. Dinner in hotel. Monday: After breakfast we make our journey home arriving at your agreed drop off point in the evening. Price is based on accommodation with en-suite facilities including breakfast, dinner, entrance to Eden Project, River Cruise, all excursions and coach travel.